How Do You Get A Divorce When You Cannot Locate Your Spouse? When one spouse decides they can no longer be with their partner, and that they need a divorce, they are not always guaranteed that their spouse is on the same page. In fact, many partners who are not in favor of getting a divorce make it very complicated for their spouse to do so. In the event where the couple decides to separate, but stay legally married, one of the spouses sometimes can move to another city, state, or country, and this is often accompanied with a cease in communication. But what happens if you lose track of your ex’s location, and then, when the time comes where you want to officially end the marriage (to either remarry someone else, or to just get it over with), you need to serve them the divorce papers? What can you do? The legal system offers alternative ways of achieving the same goal as having your divorce attorney serve your spouse, which ultimately is to inform them of the divorce in a fair amount of time prior to the court date so they can prepare. One form of this is through an Order of Notice by Publication, which is precisely what it sounds like. Using your spouses last known address, you will publicize, in that surrounding area’s local newspaper, your intent to divorce your spouse. Think of it like any other advertisement you see in the newspaper, only you aren’t selling anything, but rather making the public aware of the divorce, with the premise being this is the widest net you could cast in order to informally notify your spouse. The court recognizes this because it is the most significant action a spouse who is seeking a divorce can take without knowing the location of their husband/wife. This legal publication will be in the paper for about 3 weeks, and on top of that there will be a predetermined, additional amount of time to allow your spouse to prepare, if they did end up seeing your “ad”. If they still don’t respond to that notice, then you may go on in finalizing your divorce, as the court will find that you did all that you could reasonably be asked to do to notify them. You will need to prove that you put this legal notice in the paper, in the form of a copy of the publicized notice and also an affidavit of marshal service, confirming the publication was in the paper. 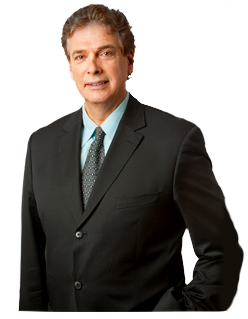 If you need help from an experienced NYC divorce attorney, contact Paul E Rudder, Esq. today! Call 212-826-9900 to set up an appointment.